Day 2 and I’m feeling euphoric post a very sweaty Hollywood Soul Cycle class and a café con panna. I made it through Day 1 without cheating – and as we all know the only person we are cheating is our self! 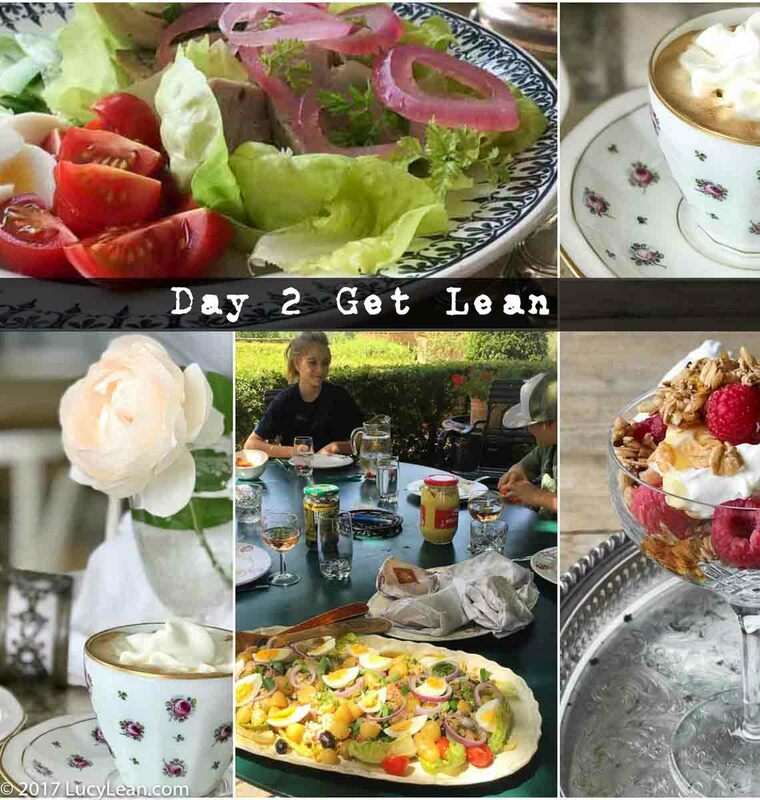 I stuck to the 3 key rules of my 40 Day Diet: 3 Lean Luxury meals, exercise and lots of water/no booze. Given that today is Halloween my treat to myself was an espresso con panna at breakfast – this is my absolute favorite way to drink coffee. The warm slightly bitter coffee is sipped through the cold silky whipped cream. It’s the perfect antidote if you are craving something indulgent. The best café con panna I’ve ever had was at Eataly in New York – the type of coffee dreams are made of. I’m so looking forward to Eataly opening in Los Angeles later this week, let’s hope the café con panna makes it over here, in addition to pizza, pasta, prosciutto and all things delicious and Italian. Something tells me I will be frequenting Michael Cimarusti and Donato Poto’s fish restaurant there so that I keep to my plan with light, high protein seafood dishes rather than the more decadent pasta and pizza offerings that will derail my 40 day delicious diet. 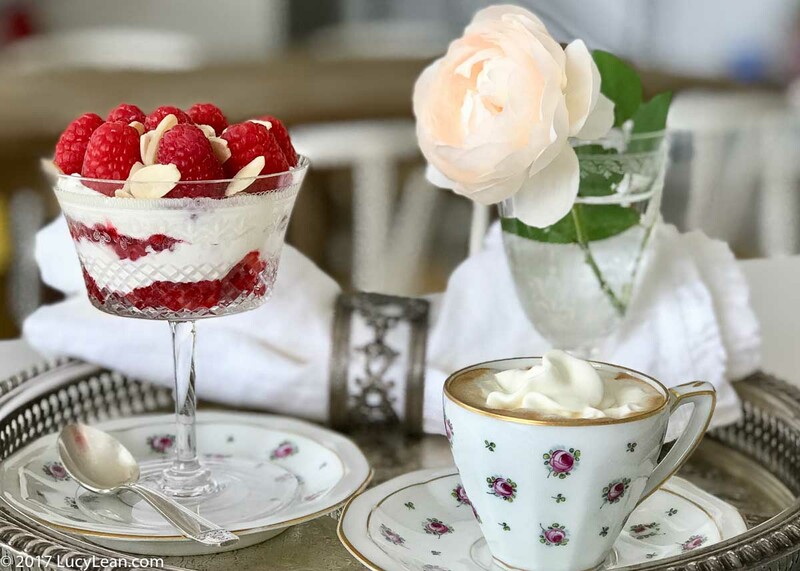 Greek yogurt (unsweetened and strained) with fresh raspberries and a sprinkling of almonds with a café con panna. 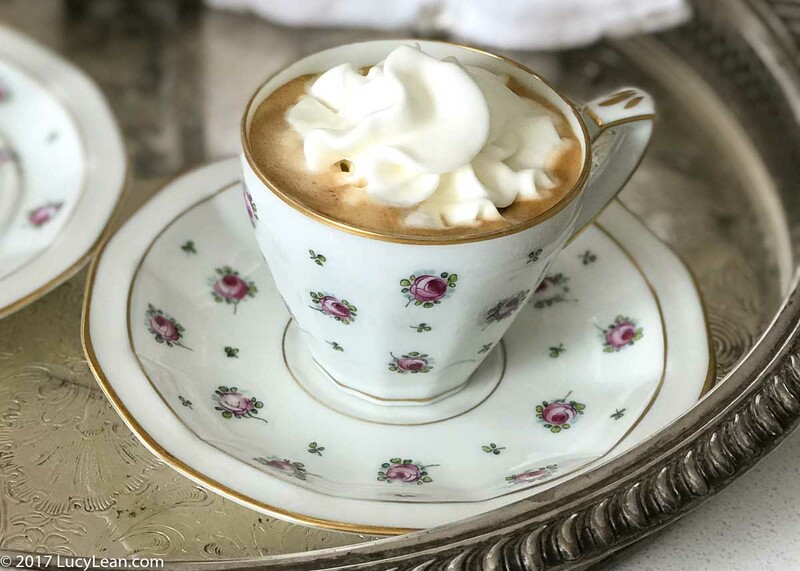 To make whipped cream I usually add a little powdered sugar but to keep it low carb I just whipped up the cream with a little vanilla paste and no cognac – and since I was feeling extra fancy I piped it onto the espresso. I’m not sure if the endorphins from spin class inspired me to make an even more exquisite breakfast tray fit for a lady than usual but today’s offering really did set the bar high. I chose my favorite rose bud Limoges china, a silver spoon from a market in Provence and the pale pink scented rose from the garden. 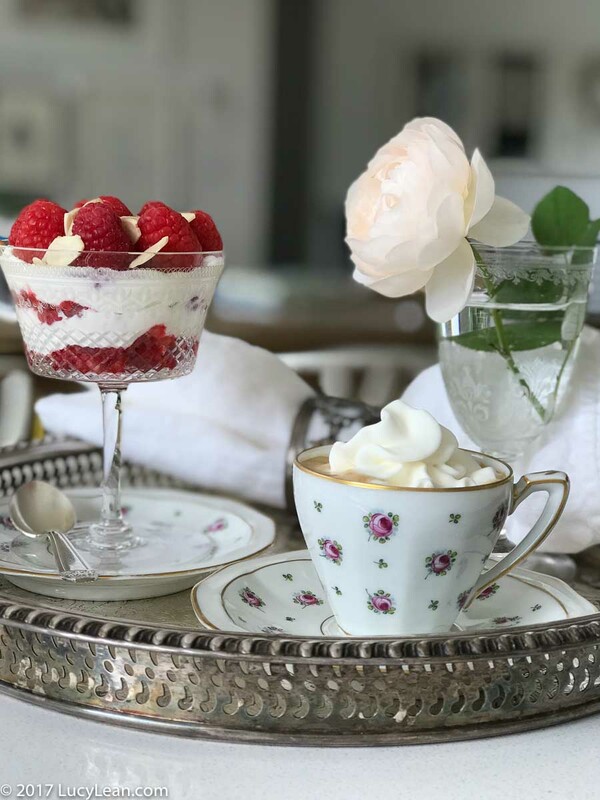 In an antique etched champagne coupe I layered fragrant ripe raspberries and thick creamy Greek yogurt and topped it with crunchy slivered almonds for the prettiest parfait. This really is dessert for breakfast with the sweetness coming from the berries. Salad Niçoise – or a Lean Luxury variation on this classic from Provence. 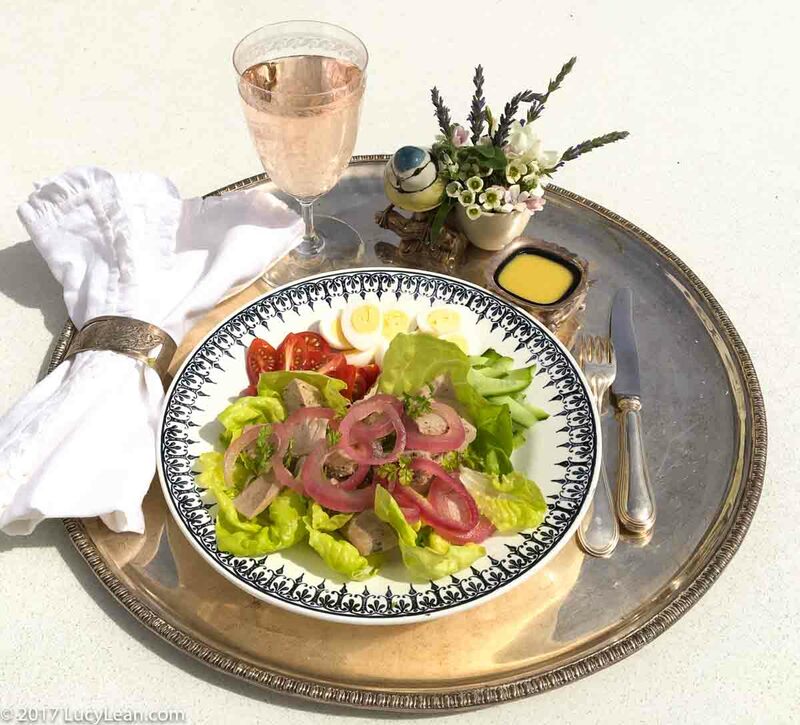 The above Lean Luncheon tray was from a few month ago when I poached the tuna and made pink pickled onions for my salad niçoise and paired it with a glass of rosé. 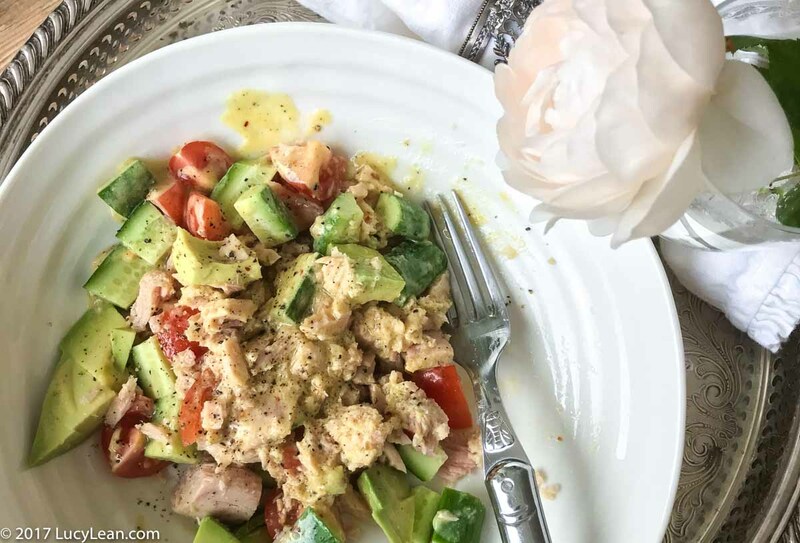 Today’s salad niçoise consisted of canned tuna, avocado, tomatoes and cucumber with a dijon mustard and lemon dressing – quick to make and very tasty – just not quite as photo genetic! And sadly no rosé – just a pale pink fragrant English rose from the garden instead. Tonight is Halloween – Minty is back in Bath tucked up in her dormitory and Rémy is dressed as Eggsy from Kingsman and is out trick or treating with his friend. It’s my first Halloween without my children – an empty nest and time for me. I have turned off all the lights and hidden myself away. I am treating myself to a TV supper and catching up on a couple of my favorite TV shows so I made another parfait for my supper – I couldn’t resist and why not have breakfast for dinner? My treat is a drizzle of Lynch Bages honey – better than raiding the halloween candy and just enough to hold off those sugar cravings. 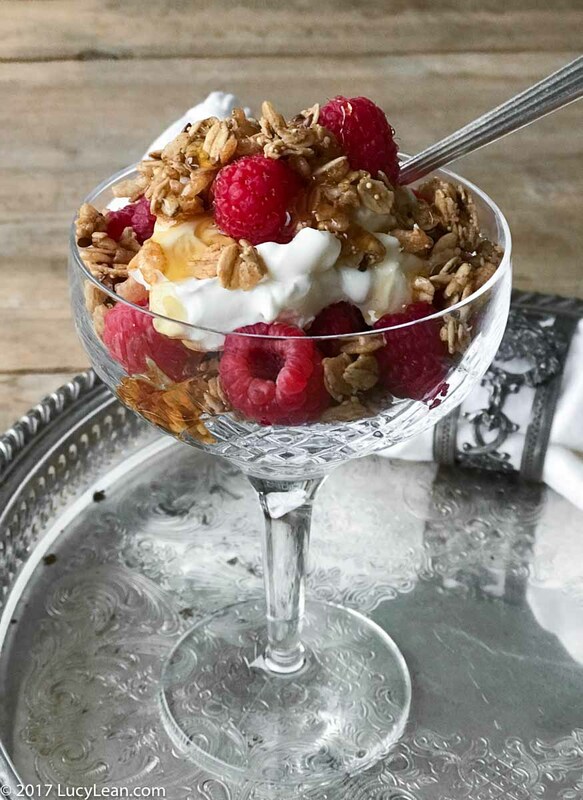 Greek yogurt, raspberries, cinnamon granola and a drizzle of Lynch Bages honey. An early night for me – another trick for boosting ones metabolism is to get more sleep. Happy Halloween – Day 2 almost done and it feels good to be back on track to Get Lean!